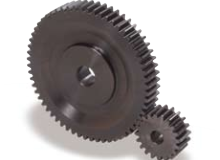 The SSA Hubless Spur Gears are made from carbon steel and are NOT hardened. 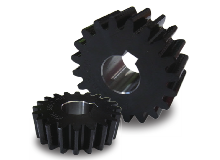 These Spur Gears are lighter weight due to their lack of a hub and are suitable for compact designs. These Hubless Spur Gears are easily customizable and J Series configurations of these Spur Gears are also available.\nHubless gears for lighter and more compact applications.